Adform Video, Mobile, Native, Rich Media, Banner advertising network details. 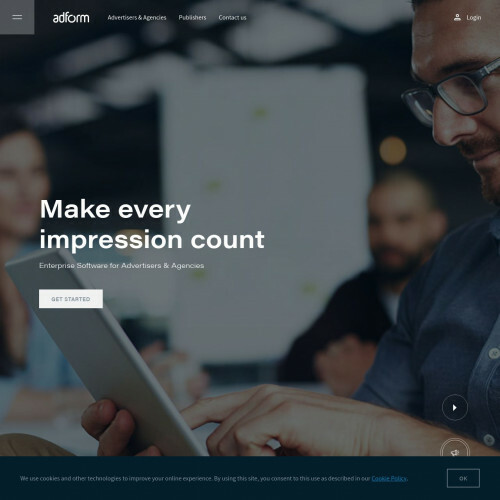 ADFORM - it is an Advertising company knows that every client is important for you, that's why they assure, Adform will count every impression. Being an Advertiser or a Publisher, once you create an account with ADFORM you will get dedicated experienced Manager who will help you the best. If you have any other questions before sign up, please use the contacts above to contact ADFORM Team. Check also reviews about ADFORM and the Information section to check their Pricing Models, Advertising Formats and Targeting options. Don't forget to leave your review on ADFORM Advertising Network in Affbank catalog.